Maintaining a high course completion rate is one of the most important prerequisites for winning ACCME Reaccreditation or Reaccreditation with Commendation. No matter how engaging a CME program’s content is, the ease-of-use of the LMS is a key determinant of how many learners complete their courses. This post will present three ways that CE coordinators can support healthy course completion rates by ensuring that their LMS is user-friendly and optimized to provide the most value for learners. Curricular design should begin with a comprehensive educational needs assessment process. This is not as complicated as it seems, but it does require a thorough, resource-intensive review of existing data. If you aren’t using a platform such as EthosCE which offers learner analysis and e-learning development, then you will have to handle this on your own. Make a list of the activities that have the highest registration rates and compare this list with those that have the lowest aggregate scores for learners on any quizzes or exams. Identify activities that students drop out of quickly, and rank these by how little time is spent on activities before students give up. List the specific knowledge, skills, or professional competencies that the most popular activities are designed to enhance. Once that’s done, look within the third list for areas that are covered in the activities that learners devote the most time to despite their struggles with the material. These activities should represent topics that your audience has the greatest need to master. The above data, in and of itself, is highly valuable as you develop the narrative for the Reaccreditation Self Study Report. Provided that your data collection and management process is error-free, you’ll have the right foundation to create an evidence-based plan for improving your users’ learning experience. Are low completion rates the fault of an LMS design flaw? If your LMS platform is difficult to navigate or if learners are repeatedly reaching out for technical support, then this issue should be taken care of before you attempt to improve course completion rates. Is my LMS flexible enough to adjust to the diverse learning styles of program participants? Your platform should offer you the ability to quickly assess your learners’ progress and change the design of your course content when specific elements aren’t improving knowledge retention. Do I really have accurate user data? When creating a model of your learners’ needs, it is incredibly difficult to determine if your data is usable or not when you’re collecting and analyzing all of the data yourself. Unless you are using a platform which decreases the likelihood of human error in activities reporting , you may spend many extra hours checking for inconsistencies. An LMS platform which can be tailored to the ever-changing requirements of medical professionals will better support learner retention. That said, even content of the highest quality will fail to improve course completion rates if LMS ease-of-use issues are common. The user interface (UI) should be easy and simple to navigate. Learners should never get lost trying to log in, log out, or get to an activity. Activities should be designed to tolerate human error. An accidental click shouldn’t result in lost progress or a recovery process that takes more than a minute or two. Self-help resources should be easy to find and use. The last thing that your learners need is an unwieldily FAQ or a long hunt for a help tab when they’re trying to solve a problem. The ability to deliver a full range of credit including CEUs, CNE, CPE, CLE, CFP, CEH, PDH and any other credit types in addition to specialty credits. Automated reporting to boards and other external systems, including ACCME PARS, CE Broker, CPE Monitor, and others. Allow learners to record attendance via the mobile web, text message or mobile apps. Audit your LMS and redesign or discard components which do not show evidence of improving educational outcomes. If your learners’ CME experience has been compromised by an LMS that is inflexible or not user-friendly, then you will face an uphill battle in your attempt to keep your learners engaged. Develop and enforce high standards in data management. Your data reporting, management, and analysis process must be seamless. Without clean data, any insights that you glean from your reports won’t be of any value for your learners. They might actually push the development of programming content in the wrong direction, causing you to waste valuable resources and possibly alienate new learners. Encouraging course completion is an often daunting task that CE coordinators should undertake with a clear understanding of the conditions that make it easy for learners to feel engaged with the CME experience and engaged with their activities. 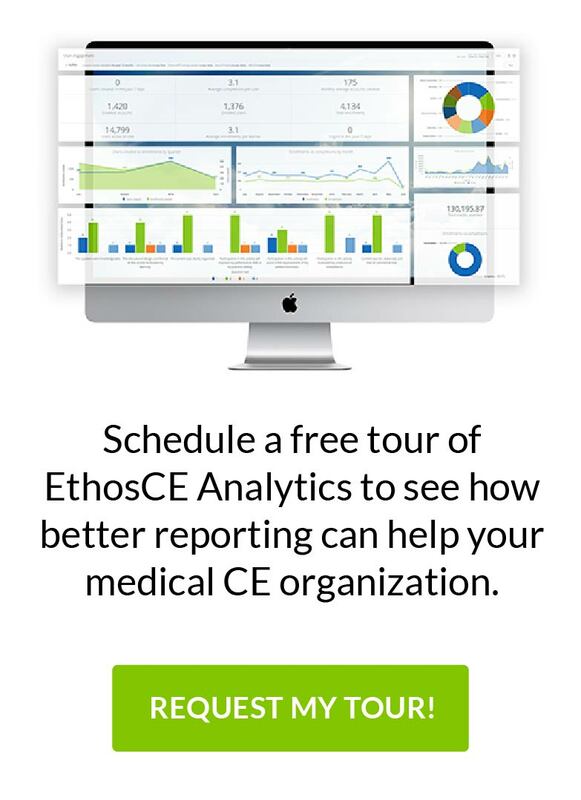 An enterprise-grade CME platform like EthosCE provides CE coordinators with a simple solution to educational management challenges. Here are EthosCE, we have been helping medical professionals develop and maintain learning situations for 16 years. To learn more about how we can help you with your Continuing Medical Education experience, schedule a 1-on-1 with us today!